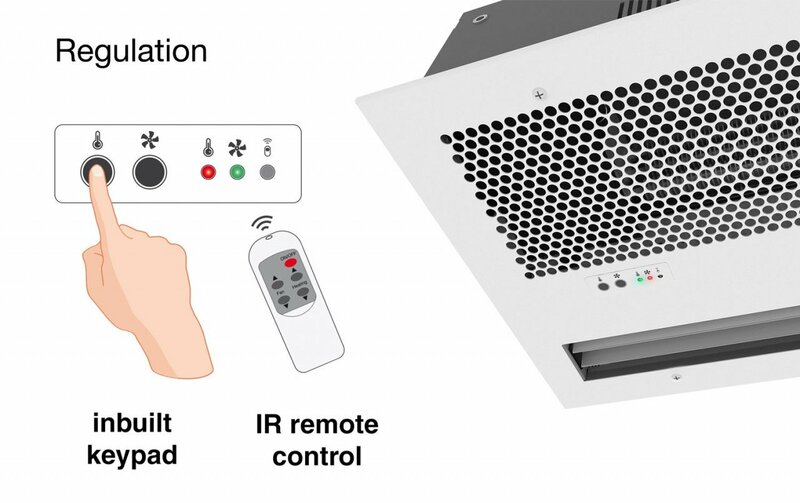 We are glad to present you the new air curtain Recessed Optima Wireless. 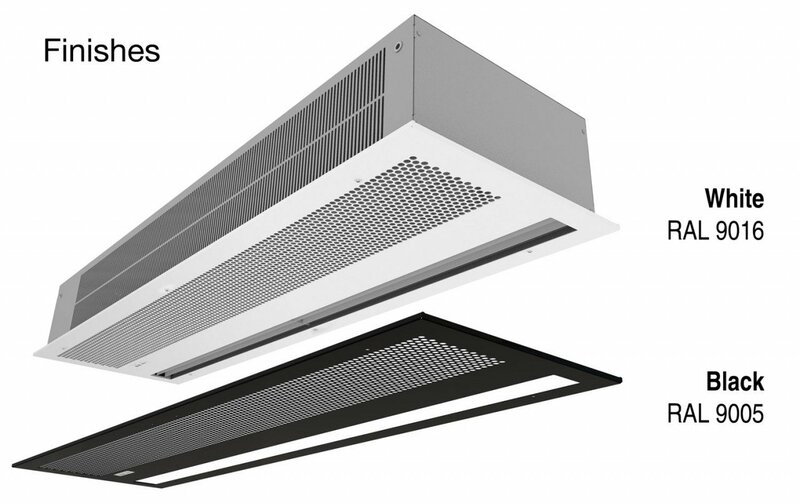 With the same performance as Recessed Optima air curtain, but 25% cheaper in average and with several customizable options. Self-supporting casing construction made of galvanized steel plate, ready to be installed recessed in a false ceiling. Inlet grille (free of maintenance) integrated in a single white frame colour white RAL 9016 or black RAL 9005. Other colours and materials are available on request. “E” type with electrical shielded elements, two stages with integrated regulation. “A” type without heating, air only. Included regulation with infrared remote control and inbuilt keypad with leds.